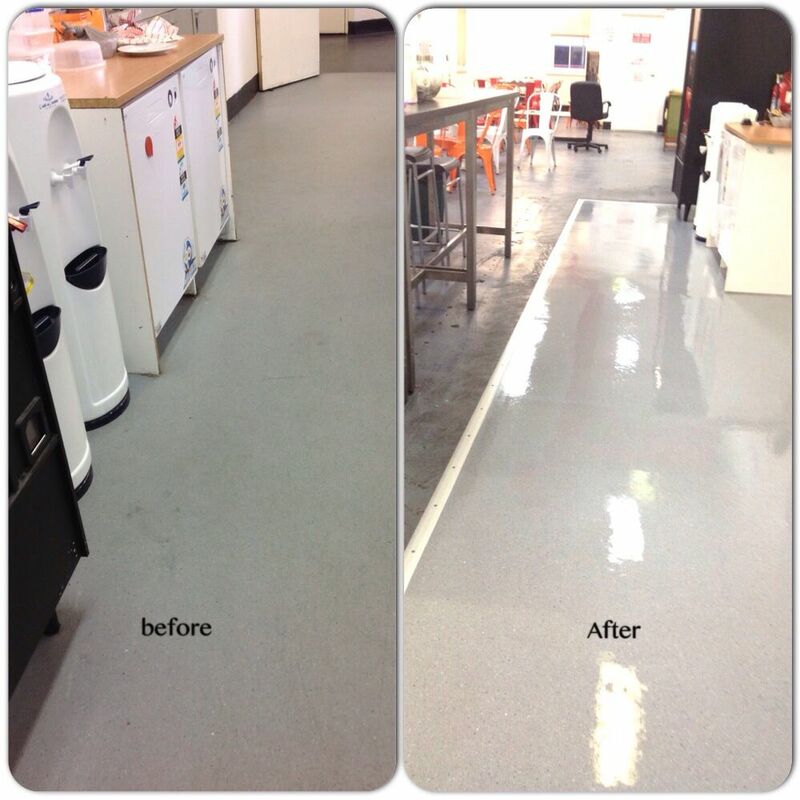 A Clean City has over 25 years experience in restoring and sealing flooring surfaces in varying environments. There is a large range of indoor and outdoor flooring surfaces so it is important that you select the best possible sealer for your floor, based on usage. When your hard floors are scuffed and dirty, it’s time to have them stripped and sealed. We wet strip or dry strip the floor down to its original surface, ensuring edges and corners (where machines can’t reach) are detailed manually, then apply an appropriate surface sealer. Our commercial grade strippers and sealers give your vinyl and hard floors exceptional durability that extends wear, reduces marking and protects against soil penetration and abrasion. Surface sealers leave your floors with a superior gloss “wet look”, non-slip finish. Other surfaces suitable for sealing with a surface sealer are vinyl, terrazzo and terracotta floors. Impregnating sealers fill the pores of the floor surface to ensure dirt and dust sit on the surface, and therefore makes the floor easier to clean and maintain. They also assist in making the floor stain resistant for outdoor settings. Impregnating sealers are typically applied to natural stones, porcelain floors and other vitrified tile types and do not change the look of the surface. However, they are more extensive to apply. Machine buffing (including ultra high speed buffing) for vinyl, timber, all natural stones etc. 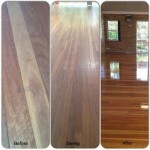 Wet or dry stripping and re-sealing with a surface sealer. 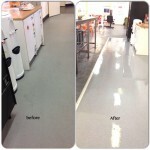 Application of impregnating sealers to appropriate floor surfaces. Restoration of existing surfaces, including heritage listed surfaces where use of chemical or any harsh substance is prohibited. The look and finish of a floor is up to you, whether its super high gloss or matt finish. We can achieve the desired look by selecting the appropriate coating and method. A Clean City has the experience as well as machinery to seal or restore your floor to ensure it’s looking it’s best for longer. For further information about the sealers we use, see our products page. 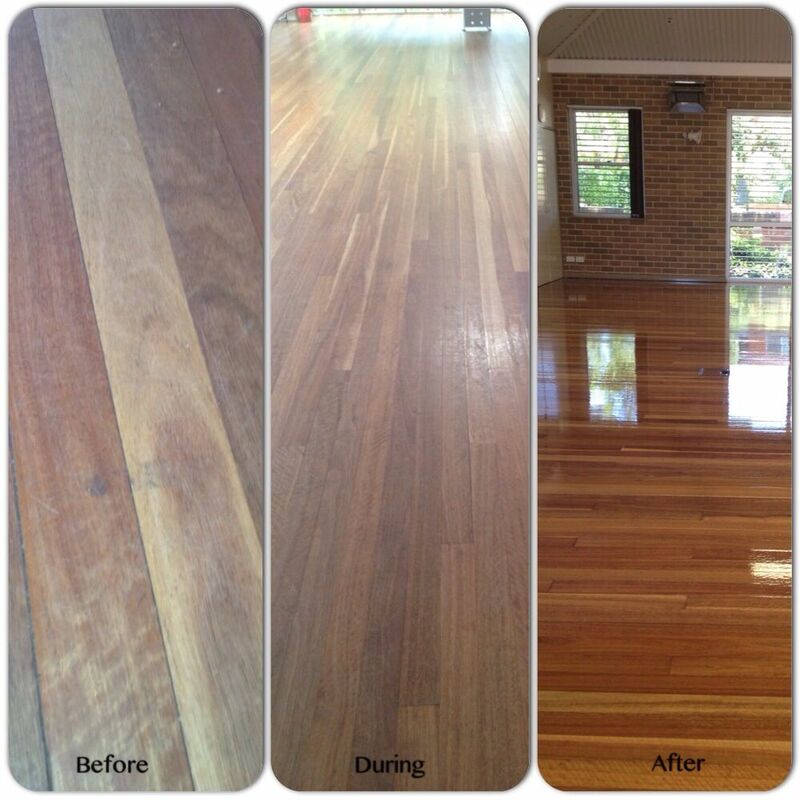 Contact us now to find out how A Clean City can be restore and seal your floor.